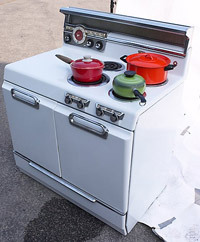 Have you noticed appliances don't last like in the days of our parents or grandparents? Did one of your home appliances break down and the warranty is expired? CODY'S APPLIANCE SERVICE INC. is one phone call away for your appliance needs. We work on most major brands and are here to help! We are strictly a mobile service and will come to your home to repair your appliance(s).